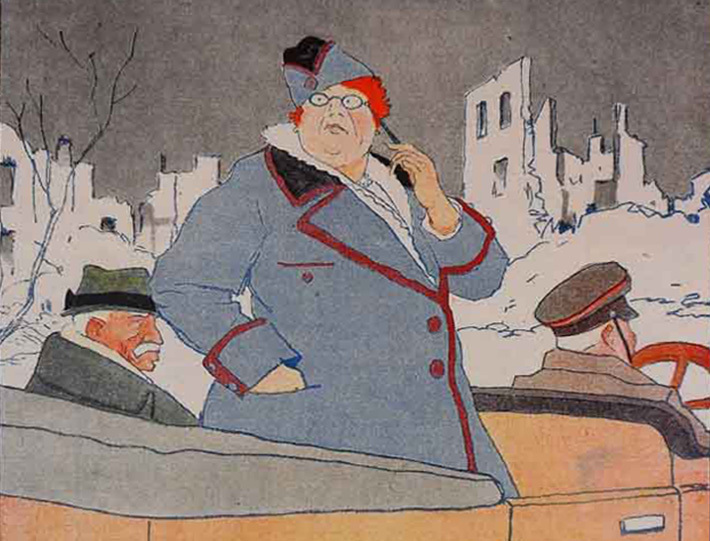 Detail of “Dans Les Ruines [In the Ruins],” chromotypograph caricature by French illustrator Abel Faivre (1867–1945), depicting Edith Wharton and Walter Berry traveling through war-torn France, for the front cover of the May 22, 1915, issue of Le Rire Rouge. Click on image to see entire cover. Faivre’s caption (“Ce n’est que ca!”) can mean simply “Is that all?” but has also been translated as “Why such a fuss?” Image courtesy of Priscilla Juvelis Rare Books. 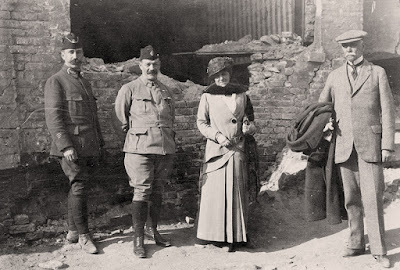 The introduction to a previous Story of the Week selection (“Writing a War Story”) discusses how, during the early years of World War I, Edith Wharton threw her energy behind various relief efforts, provided supplies to military hospitals, and made five trips to the Western Front. Because of her humanitarian pursuits and her status as an author, Wharton had unmatchable access to areas forbidden to most civilians, especially foreigners traveling in motorcars. The excursions clearly excited and awed her, and she seemed quite aware of the incongruous figure she presented: a middle-aged women wearing fashionable hats and dresses and zipping around a war zone in a chauffeured Mercedes. Yet she was concerned that soldiers and officers not think of her as a war tourist. Nothing seemed “ghastlier and more idiotic than ‘doing’ hospitals en touriste, like museums,” she wrote, and both at the time and years later (in her fiction) she derided society women who showed up at the front and got in everyone’s way. 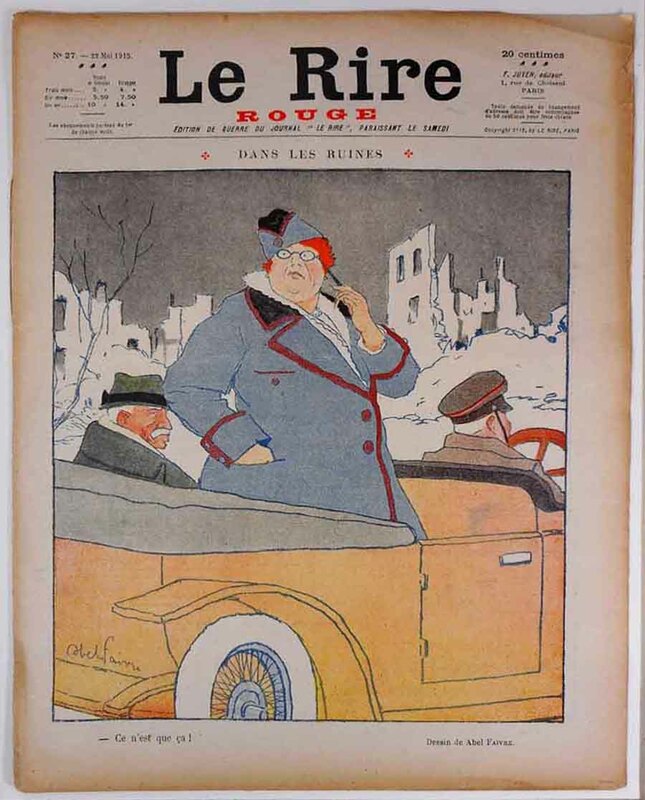 Her presence in the war effort was prominent enough that the popular humor magazine Le Rire Rouge featured a caricature of her and her companion Walter Berry on its front cover (above) after the cartoonist had accompanied them on their third trip to the front. Wharton accepted the mockery in stride, writing to a friend, “We took Abel Faivre with us, & he’s made such a good sketch of us at Gerbéviller. Walter’s expression whenever I suggested visiting a hospital or doing anything good was caught to a line.” As Hazel Hutchison observes in a recent book on American writers during the war, “Wharton’s own attitudes to publicity and self-promotion were shifting dramatically in the context of the war.” She was quite willing to endure a little ridicule if it would bring in more money for her various charitable efforts. 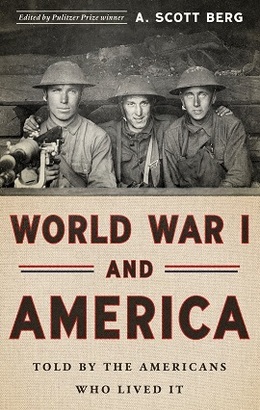 A total of four essays, each a mix of travelogue and war reporting, appeared in Scribner’s Magazine during 1915. Her dispatches apparently won over her reluctant editor; in late June, Scribner sent a message requesting an article about her latest trip to “the North,” and below we present her report from the region around Ypres and Dunkirk (or Dunkerque) along the French-Belgian border. “I have been given such unexpected opportunities for seeing things at the front that you might perhaps care to collect the articles . . . in a small volume to be published in the autumn.” Scribner agreed, and they were published together at the end of 1915 as Fighting France, from Dunkerque to Belfort. Notes: In several places Wharton mentions mitrailleuses, which by the 1910s had become a generic French word for machine guns. The St. John Ambulance Brigade (page 137) was a British volunteer organization providing first aid services. Pall Mall is a street in Westminster, London, then the location of several prestigious gentlemen’s clubs. The quotation “La Belgique ne regrette rien” (page 141) was written not by Belgium foreign minister Julien Davignon but by prime minister Charles de Broqueville, who was in turn quoting or paraphrasing in a telegram to the French premier another Belgian official. The complete quote is “Belgium has sacrificed all to defend honesty, honor, and liberty; she regrets nothing.” The miraculous snow-fall of Italian legend refers to a thirteenth-century story about a wealthy Roman husband and wife in the fourth century who vowed to donate their possessions to the Virgin Mary and prayed for guidance as to where to leave their property. One night in August snow fell in the shape of a square on the Esquiline Hill on what became the site of the Basilica de Santa Maria Maggiore. The Taube was a two-seat monoplane used by the German air service for reconnaissance. Rear Admiral Pierre Ronarc’h (page 145) commanded a brigade of French marine fusiliers that fought alongside Belgian troops in the defense of Dixmude the previous fall until the town was captured by the Germans in November. “Au repos” (page 147) means “at rest” and “bain-de-mer” (page 148) is a place to go swimming in the sea. David d’Angers statue of Jean Bart (page 149) depicts the naval commander who successfully defended the Dunkirk port against English attack in 1694–95. The Broken Heart is a seventeenth-century play by John Ford. On page 150, Wharton cryptically alludes to two hearts at the highest pitch of human constancy, a nod to King Albert and Queen Elizabeth, who chose to remain on Belgian territory at La Panne while the Belgian government relocated to the French city of Le Havre. On the way from Doullens to Montreuil-sur-Mer, on a shining summer afternoon. A road between dusty hedges, choked, literally strangled, by a torrent of westward-streaming troops of all arms. . . . If you don't see the full selection below, click here (PDF) or click here (Google Docs) to read it—free!